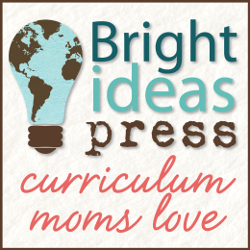 Homeschool History Curriculum ~ Marvelous Monday! Ah, history. I can't get enough of it, but I wouldn't necessarily have said so when I was in school. Instead, my parents educated me far better by exposing me to historical places (we were the people who read the historical markers :) ) and great literature. In our homeschool, history is what we consider to be our "spine", meaning that we plan the year around what it is we are covering in history. Copywork, read-alouds, dictation, movies, individual reading, and field trips are all chosen with history in mind. We began implementing the classical approach from the beginning, when at the time all we had to draw from was Douglas Wilson's series of books: Classical Education and the Homeschool, Repairing the Ruins, andRecovering the Lost Tools of Learning. Soon, however, we were given great tools from bushwhacking classical home educators Harvey and Laurie Bluedorn. And following in their footsteps were Susan Wise Bauer and Jessie Wise's quintessential The Well-Trained Mind, and then the publication of the Bluedorn's Teaching the Trivium. There are of course now many more classical education providers on the market, and for that we are so grateful. The four-year cycle makes it possible for me to teach various levels of students at the same time. When a first-grader joins our history study, they jump right in wherever we are that particular year. I don't teach different historical time periods to different kids. No way. I expect more from the 8th grader than the 1st grader, for certain, but we all are on the same historical page, so to speak. We began with VERITAS PRESS. Although I love their history cards, there is definitely work involved in putting the pieces together and I found it cumbersome as I was learning the ropes my first four years of homeschooling. The curriculum was designed for the classical classroom, and it isn't particularly homeschool mom-friendly. I still use the cards and love to display them because the artwork is lovely. Veritas Press is like that- they produce lovely things. The real reason I decided to look for a different history curriculum my second go-around of the four-year-cycle was that I was terribly disappointed by the shift in focus Veritas Press makes in the last year from world history to American history. I kept thinking, "So, what happened to the rest of the world???" I just wanted something that kept our eyes on world history that fourth year. I'm not exactly sure how I found Linda Hobar'sTHE MYSTERY OF HISTORY, but there it was in my hands as we began our second four-year cycle. At that time I had a 5th grader, a 3rd grader, and a 1st grader. Immediately I was captivated by Linda's lyrical story-telling that wove Biblical and secular world history together in one long, rich, tapestry of a thread. I found myself gasping aloud that first year of The Mystery of History; Linda would point out things I'd never known before. She explains cultural and historical backgrounds of the people and events in the Bible, and my love of God's Word was deepened immensely that year. And the coloring pages! Beautiful. The artist drew several lessons all on one page and then highlighted the individual lesson- difficult to explain but really quite captivating. You can download a sample if you scroll down on the resources page. Linda's second volume covering the early church and the Middle Ages fascinated me even more as I learned of early church history I'd never been introduced to in my 38 years of a Christian life. Do you know who Columba was? How about Methodius and Cyril? Do you know why King Wenceslas was good? These were early heroes of the faith who lived during one of the darkest times in history. Each lesson is typically two to three pages to read aloud, followed by optional activities grouped by age. Map work, reviews, and quizzes are included, as are terrific directions each week for creating a timeline and/or memory cards. There are three lessons per week, so there's no pressure if a day is skipped. In fact, we only do history on Mondays and Tuesdays, and we have no trouble fitting all three lessons in each week. Before Volume IV of Mystery of History was completed, I purchased Jim Weiss' recording of Susan Wise Bauer's The Story of the World Volume IV. We are HUGE Jim Weiss fans in our home, and I was absolutely delighted when I learned he was recording The Story of the World. ♥ Dover Historical Coloring Books. These are detailed enough that even some of the older ones like to color them while listening to the recordings. They are economical enough that we could add one or two to our stash each year. ♥ Hold That Thought Notebooking PagesWhen I make history notebooks for each child at the beginning of the year, I print out these notebooking pages which cover both world history and church history. They are typically a drawing of the historical figure or event and a lined area for journaling. Some of the pages look like newspapers, adding interest to the kids' notebooks. ♥ Draw and Write Through HistoryI was so excited to find these two books (Draw and Write Through History Greece and Rome and Draw and Write Through History Creation Through Jonah, Volume I) at a homeschooling convention a few years ago. They fit in perfectly with our history notebooks; the kids learn step-by-step drawing renditions of people (Roman gladiators, Moses, David) and places (the Roman Colliseum, the Tower of Babel, a Viking Long House). Since I originally wrote this post, more books have been added to the Draw Through History series. We love them all! ♥ Amy Pak's Historical Timeline Figures Don't you just love it when homeschoolers produce beautiful products? Amy Pak saw the need for timeline materials and then used her artistic savvy to create lovely images. The pictures can be reproduced to any size and printed with or without the accompanying text. And much to our delight, Amy has also created fabulous unit studies called Time Travelers History Study Series. Honestly, without a unit study that is pre-done for me with all of the printables included, I just wouldn't get around to doing the hands-on stuff as much. At the beginning of each unit I plug into our year's history schedule the activities that we are going to do. Pages are printed out or materials collected ahead of time (as in August) so that I don't have to think on my feet. ♥ Evan-Moor History Pockets Evan-Moor is one of the few traditional school publishers that I have really come to love, and mainly because of their "pockets" series. Again, nicely pre-printed pages that have the kids creating and studying everything from a colonial village to Chinese lanterns. Phew! That was a lot! If you stuck with me, you get an extra gold star today :) Please also realize that our collection of history materials has been amassed over 12 years. There are numerous resources online all for free, from lapbooks to notebooking pages to coloring pages. Use Google and have fun! Be sure to check out Cheryl's Marvelous Monday post all about history resources, too. Lots of affiliate links above. You can see why I do that here.